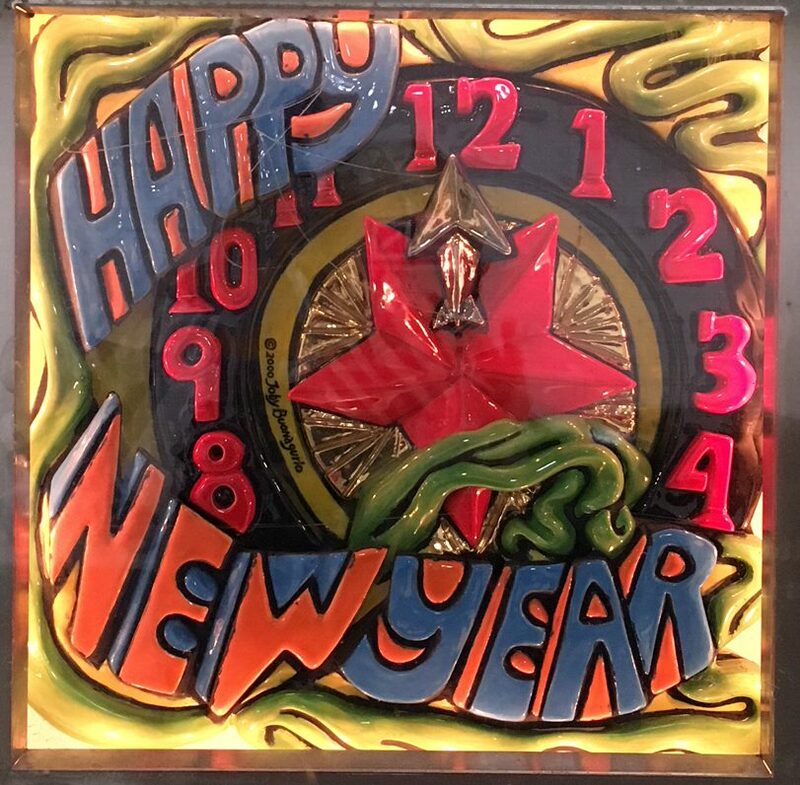 The New Year’s Eve tile above is part of Times Square Times: 35 Times, a public artwork commissioned from Ceramic sculptor Toby Buonagurio by the MTA Arts for Transit. It is permanently installed in illuminated presentation windows embedded in the glass block passageway walls throughout the Times Square – 42nd Street Subway Station. The artworks are owned by the MTA New York City Transit. However you choose to celebrate this evening, have fun , be safe and stay cozy warm! Happy New Year 2018 From NYC! Ceramic sculptor Toby Buonagurio, the studio coordinator and sculpture director of Stony Brook’s Department of Art, is known for her colorful ceramic sculptures and innovative designs. 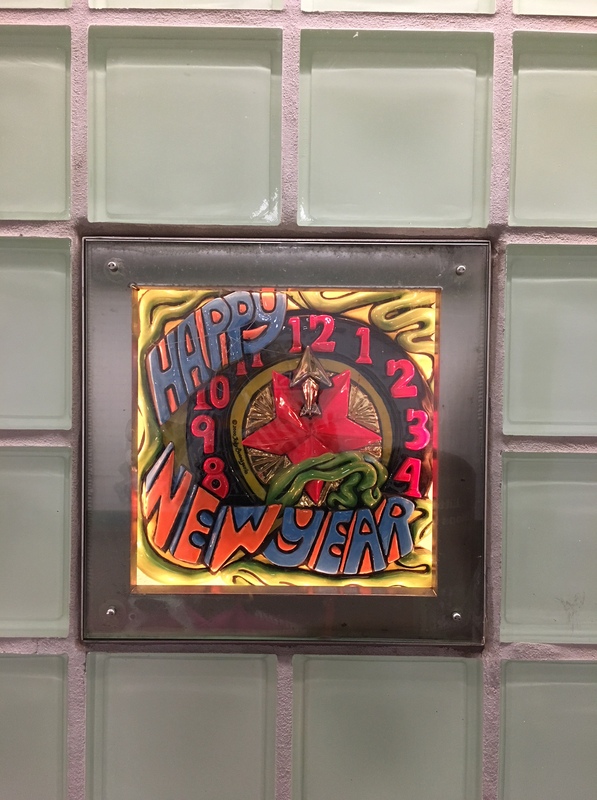 The New York New Year’s Eve tile above is part of Times Square Times: 35 Times, a permanent public artwork commissioned from Buonagurio by the MTA Arts for Transit. It is permanently installed in illuminated presentation windows embedded in the shiny new glass block station walls throughout the Times Square – 42nd Street Subway Station in the heart of New York City. The artworks are owned by the MTA New York City Transit. 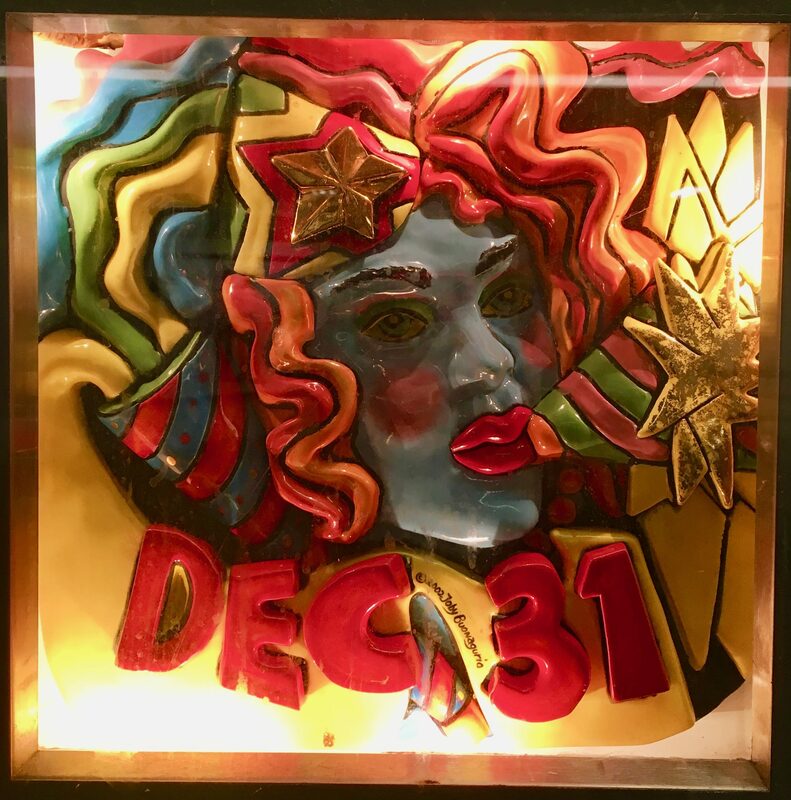 Times Square Times: 35 Times is comprised of 35 unique, one of a kind sculptural ceramic reliefs created by the artist over five years. The work may be viewed in the Times Square – 42nd Street Subway Station along the 7th Avenue Passage, the 41st Street Corridor, the Broadway Mezzanine and the Subway Entrance at 42nd Street. The station is open to the public twenty-four hours a day, seven days a week. Times Square Times: 35 Times is routinely viewed by more than half a million subway riders daily. Buonagurio’s project was conceived around three characteristic, conceptual themes emblematic of the energetic vibrancy of Times Square: Performing Arts, Fashion and Street Life – the people, the places, the things – readily recognizable to the average, everyday visitor, not matter where they are from. Happy New Year, Everyone! Let’s Make 2018 the Best Year Ever! I moved to Manhattan in the fall of 1988, but having made perhaps a half dozen trips to NYC between 1979 and the year I became a resident, I sure do remember when the subway looked like this. Ah, sweet nostalgia. You can almost smell the urine. This video, shot by Danish tourist “Railroad Pacific,” is ten minutes long, but you can fast forward and get the full effect. If the embedded link above goes wonky – as embedded links tend to do – you can find the video on YouTube at This Link. Thanks to The Awl for the tip!